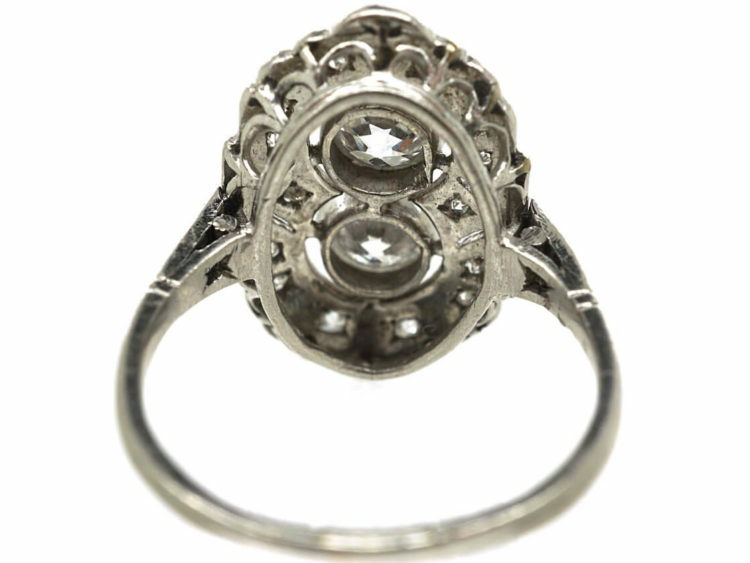 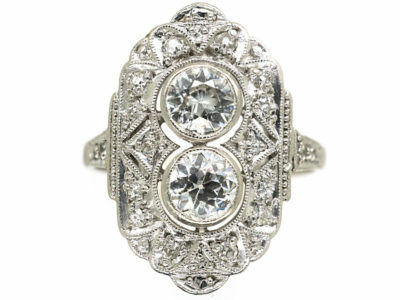 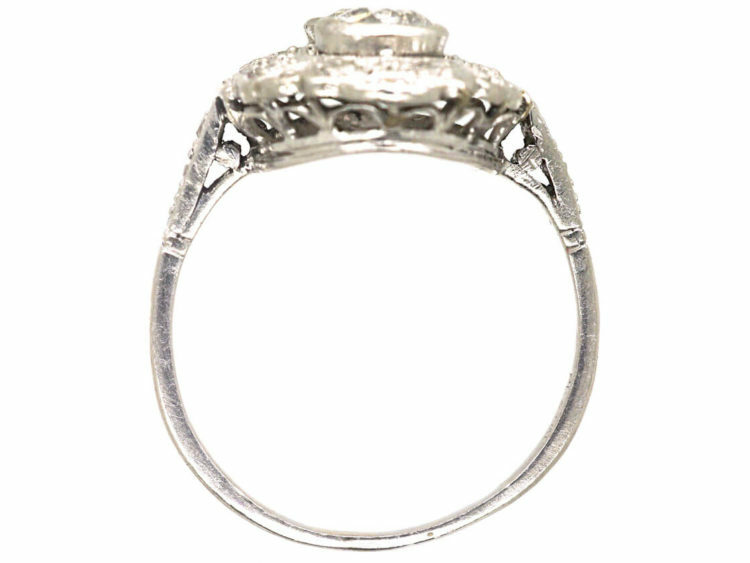 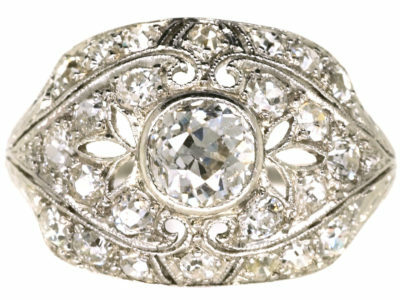 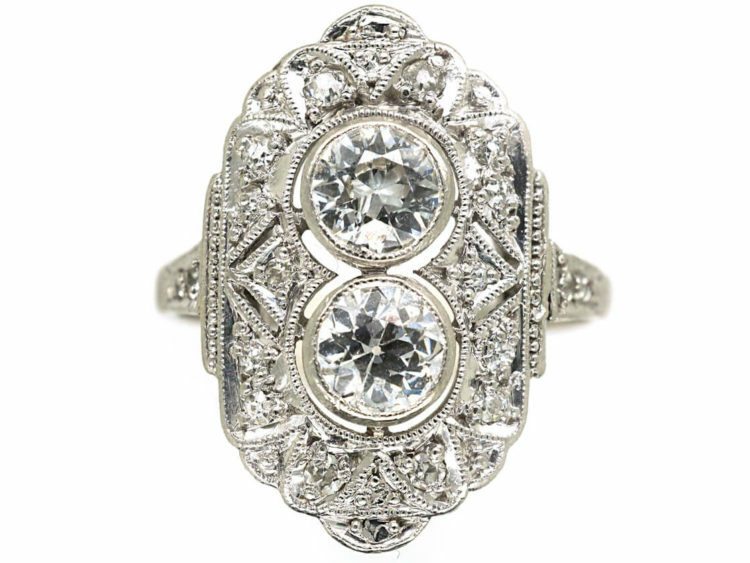 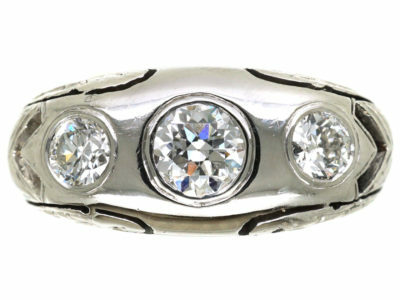 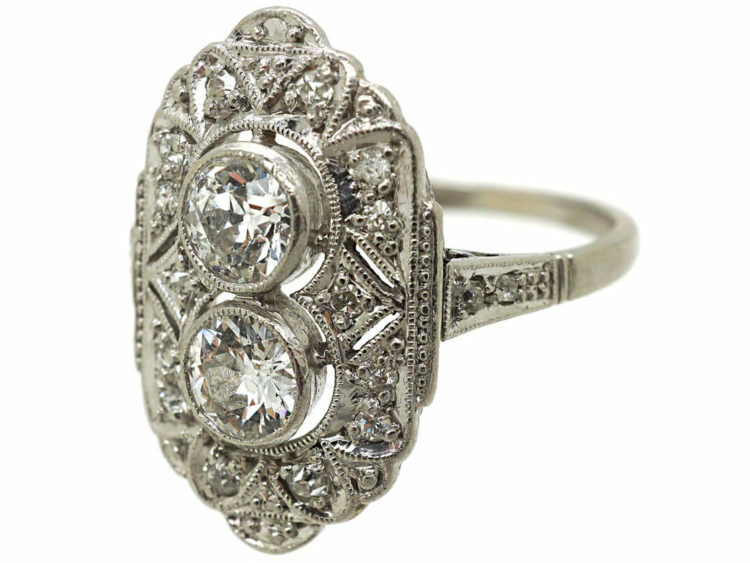 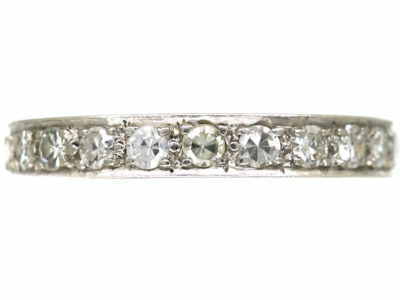 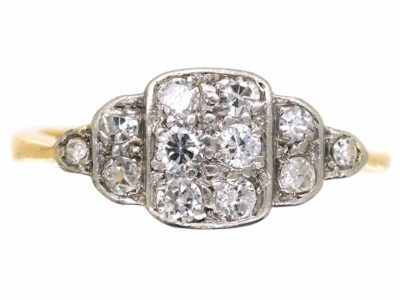 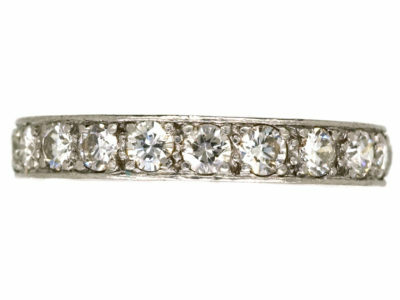 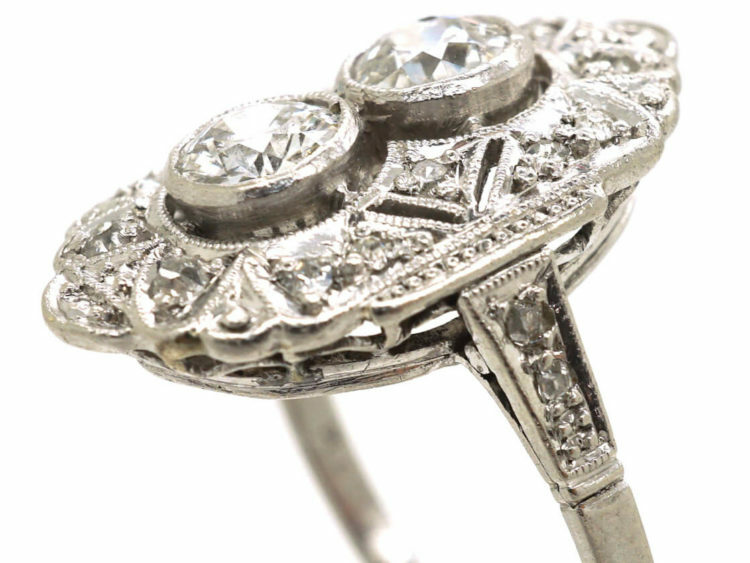 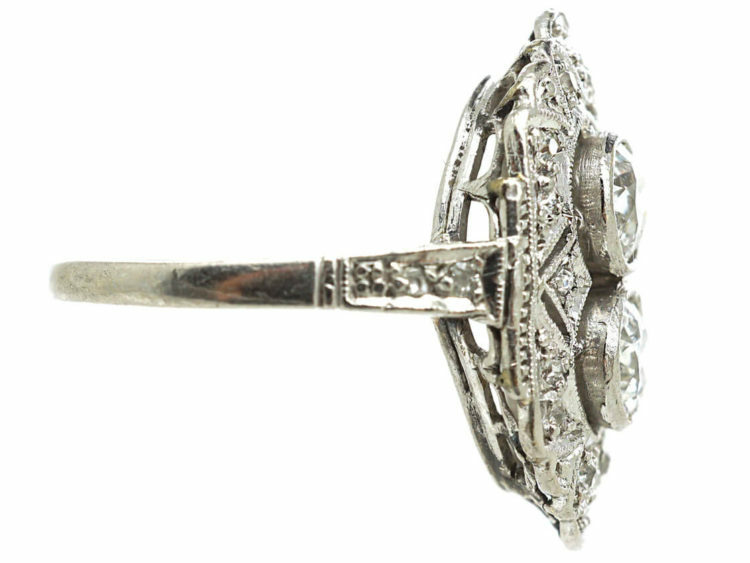 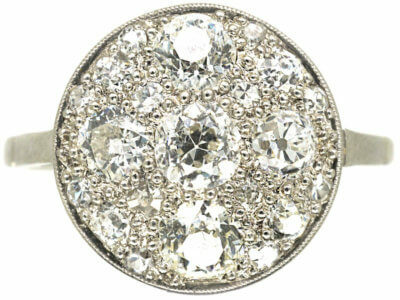 A wonderful and very stylish platinum ring that was made in the 1920s in Germany. 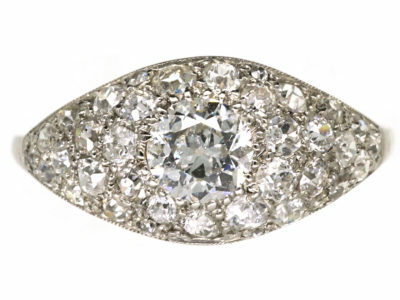 It has been set with two well matched white forty point diamonds within a framework of smaller diamonds. 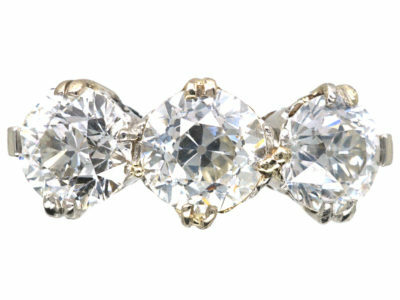 The shoulders have also been set with small diamonds. 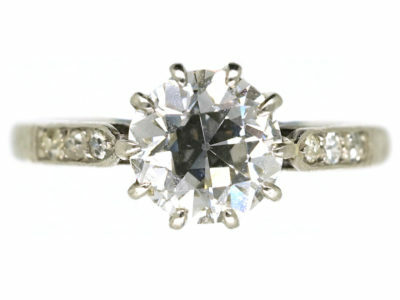 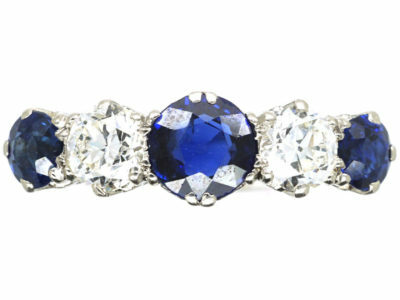 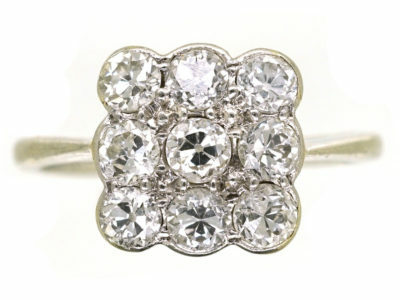 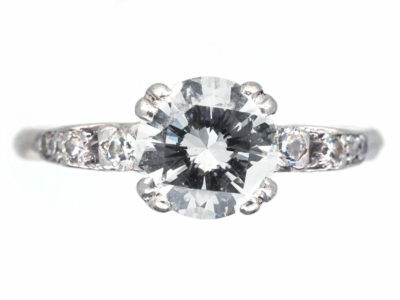 It sits low on the finger so it is practical to wear, and would be an ideal dress or engagement ring.